As TraPac container terminals continue to transform the industry, we’ve made investments in technology and services that will enable us to provide unparalleled premium service to our customers. We believe the innovations that TraPac is pioneering will ultimately set new standards for efficiency, security, safety and environmental protection throughout the global shipping industry. TraPac’s leadership team is comprised of some of the brightest minds and most experienced executives in the industry, guiding the company with a steadfast commitment to safety, service and sustainability. 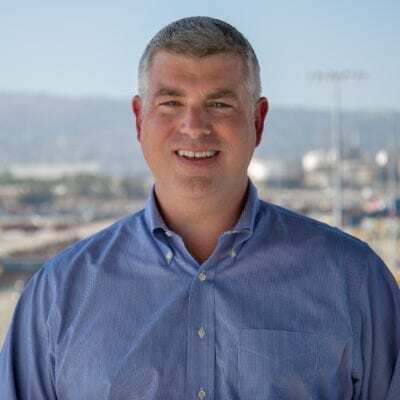 Stephen Edwards was named President & CEO of TraPac, LLC in January 2018. Stephen is leading the development of TraPac into a world class container terminal company. He is responsible for the overall performance of TraPac with focus on safety, environment, customers relations, operations, governance and maximizing returns to investors. 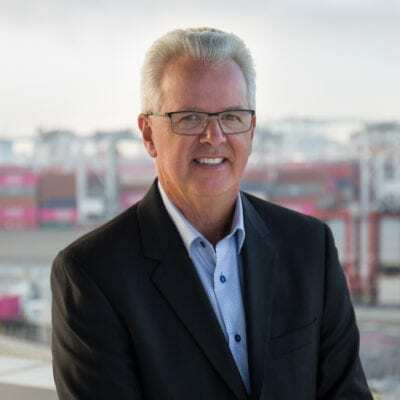 Prior to joining TraPac, Stephen served as CEO at GCT Global Container Terminals overseeing their terminals in Vancouver BC and New York/New Jersey. 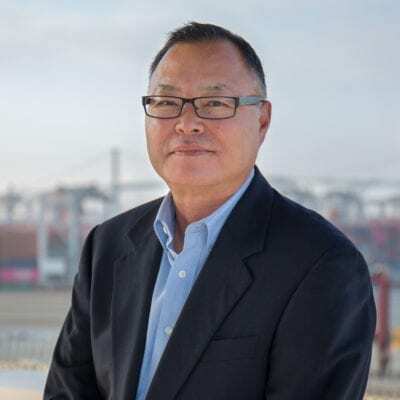 In addition, he has lead Ports America Group and P&O Ports North America and held senior executive positions with P&O Nedlloyd/ P&O Containers in America, Europe and Asia. Stephen holds a Bachelor of Science in Transport Management from Aston University, England and is a Chartered Member, Institute of Transport and Logistics. 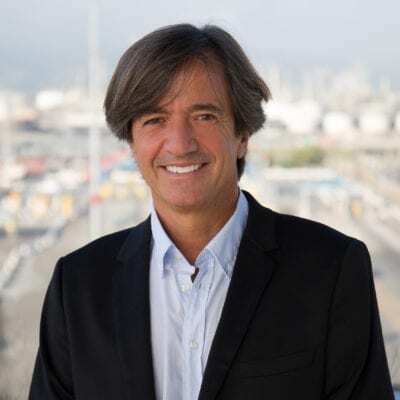 Senior Vice President, Brookfield Infrastructure Group Corp.
Ron functions as the chief financial officer at TraPac on behalf of Brookfield. He is responsible for managing the financial risks of TraPac by planning, implementing, managing and controlling TraPac’s financial-related activities including but not limited to, responsibilities over accounting, finance, forecasting, strategic planning, budget management, cost analysis, and private and institutional financing. 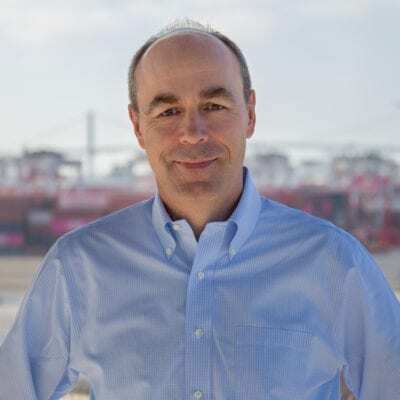 Previously, Ron has held senior management positions serving as President and Chief Financial Officer for Longview Timber, Corp. Ron attended the British Columbia Institute of Technology and received his Diploma of Financial Management, Accounting. He is a member of the Chartered Professional Accountants of British Columbia and holds the CPA, CGA and CPA, CMA designations. Provides leadership and direction for all terminal operations and supports operational and financial goals while supervising management team members to ensure efficient, safe and productive operations. 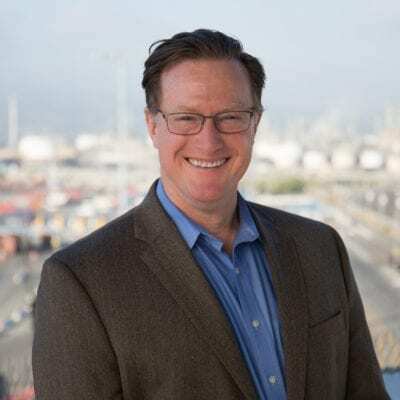 Prior to joining TraPac in 2016, he served as Vice President of Operations at Ports America and had management roles at Terminal Link Texas, LLC as well as Marine Terminals Corporation. Brian holds an MBA from University of Houston-Clear Lake. Responsible for the overall performance of Los Angeles with focus on safety, environment, customers, operations and maximizing returns to investors. 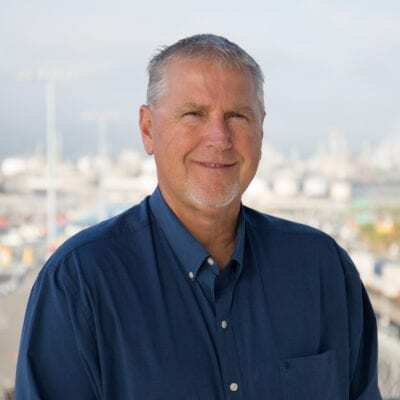 Since joining TraPac in 1987, Daryl assumed several key management roles during his long and successful tenure at TraPac including GM TraPac Seattle from 1999 – 2002; had a lead role in technical overhaul of gate and yard operations; managed the opening of TraPac Austin in 2006; returning to TraPac Los Angeles in 2012 to manage new business and integrate the phase-in of terminal automation. Provides leadership for the continued development of an innovative, robust, and secure information technology environment throughout TraPac. 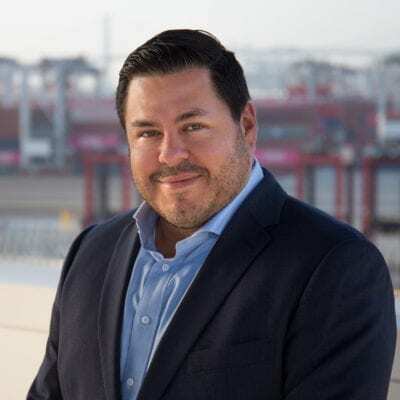 He is responsible for executing and coordinating technology strategies with overall business initiatives and fostering reliable integration to automation systems and expansion projects. He also serves as Career and Technical Education Advisory Chair for Huntington Beach Union High School District located in Orange County, CA. Prior to joining TraPac, Marc has spent over 20 years in information technology roles. Most recently, he served as Vice President, Information Technology at MagnaFlow. Marc holds a BS in Business Management with a concentration in Finance from Pepperdine University, Malibu, CA. Tami joined TraPac in 1987. 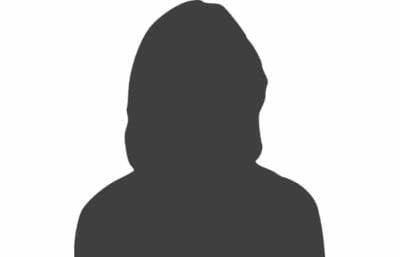 Since inception she has successfully supervised and directed all aspects of customer service activities while meeting customer requirements and organizational goals. 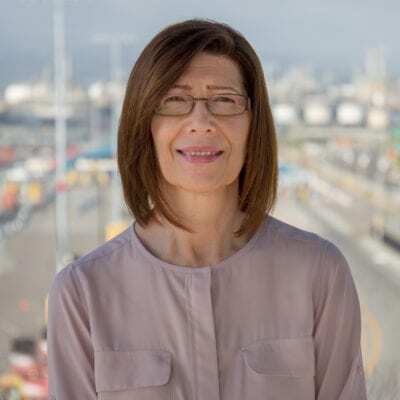 Tami began her maritime career with Sea-Land Services and United States Lines. Responsible for directing and managing human resources initiatives, including recruitment, compensation, benefits, training and employee relations. Ensures that programs are consistently administered and aligned with organizational goals, have compliance with professional standards and meet regulatory requirements. Prior to joining TraPac in 1987, Elena’s career in human resources management included roles in the financial and travel industries. Elena holds a BA in Psychology from Hofstra University, New York. Responsible for organization-wide labor relations, including contract negotiations and grievance/dispute resolution. Steve started his career in the maritime industry with Stevedoring Services of America. Prior to joining TraPac in 2017, he served as the Director of Contract Administration & Arbitration at Pacific Maritime Association. Steve holds a BS in Political Science and Government from College of Santa Fe. In this role, John manages and leads the development, strategy and execution of terminal automation systems. He oversees and evaluates applications, equipment and processes for performance optimization. John has had a long and successful career with TraPac with over 15 years of service, joining in 2002. John holds a Degree in Electronic Engineering from Universidad Nacional De Mar Del Plata in Buenos Aries, Argentina. Responsible for installing and operating automated container handling equipment as well as the safe, effective and efficient operation of assets utilized by TraPac at the Los Angeles Terminal. Prior to joining TraPac in 2016, he served as the Project Manager (Cranes) at APM Lazaro Cardenas in Mexico. 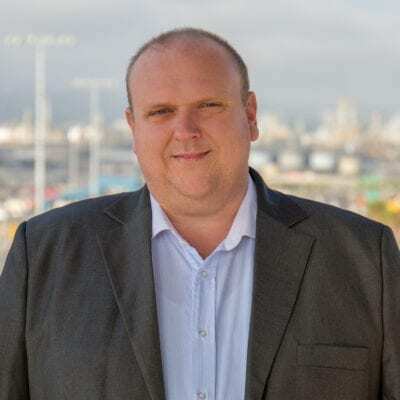 Mark also served the role of Mechanical Support Engineer at Brisbane Container Terminals where he was responsible for project delivery of the first automated container crane terminal within Australia. Prior to this role, he served in multiple positions with DP World along with P&O Ports LTD in Brisbane, Australia. Mark is a Chartered Professional Engineer and received his Bachelor of Engineering (Materials/ Mechanical) from the University of Queensland. Responsible for accounting, billing, and financial reporting functions. He also manages the business and employee insurance portfolios and serves on the TraPac Retirement Committee. James has been with TraPac since 2006. Prior to joining TraPac, he had been in the maritime industry for 10 years and spent 3 years in public accounting. He holds a BBA in Accounting from the University of Texas and has his CPA certification.